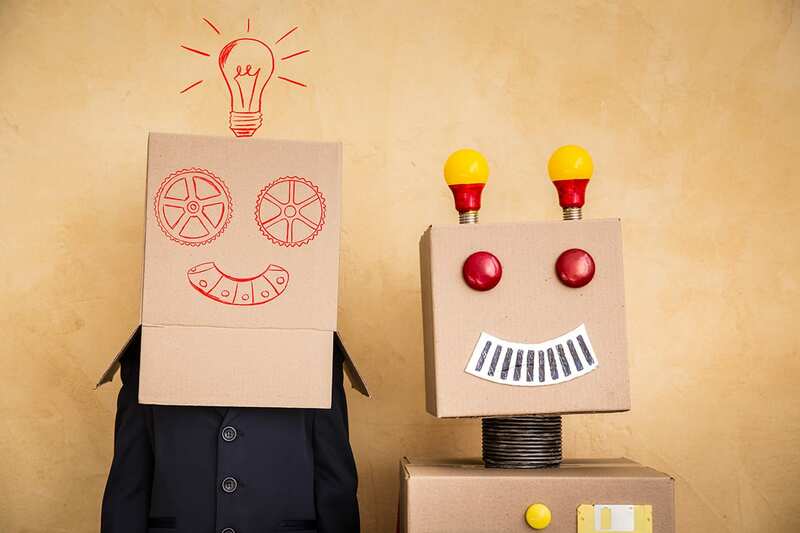 Chatbots are fast becoming the future of customer service and are being looked upon by many small and medium-sized businesses as a way to overcome human limitations, performing tasks more efficiently than their human counterparts. Checking weather, booking cabs, tickets or ordering food, are just some of the tasks that chatbots can perform. Companies are also extensively adopting it as a way to scale up their operations, as an interactive marketing platform and driving up organisational efficiencies among others. Both command-based and AI-based chatbots are making a headway in this sector, but it is the latter which is gaining more traction. While command-based chatbots can answer limited set of questions and cannot function outside its code, AI chatbots are designed to answer unambiguous questions and can learn more past interactions. As companies are increasingly adopting and integrating AI-based chatbots, many of them are calling themselves an AI company. But how is that fair? Many researches have suggested that AI will be pervasive by 2020 and will be used extensively by businesses to improve the performance of existing systems. With AI offering exciting opportunities, vendors are simply using it as a way to ride on the hype, without offering any potential use cases or business value. The companies are overselling AI capabilities with shiny, bold marketing, whereas their technology in reality is providing rule-based machine learning and analytics, rather than self-learning. With the growing hysteria around AI, technology vendors, including those using chatbots are running into ‘AI washing’. As former Flipkart CPO Punit Singh Soni said “90 percent of companies using AI and ML are doing nothing even remotely related.” Soni, who now runs an AI startup called Suki (earlier Robin AI), had confessed that even they don’t use a lot of AI in their operations. He had added that, though AI is an aspiration, they just don’t have enough data. “The extent to which startups have been using AI in their operations has been vastly overhyped. Artificial intelligence and machine learning were touted to be transformational technologies that could create great value for companies, so startups benefited immensely in terms of funding and exposure from claiming they were employing cutting-edge AI”, he had said. In another instance, a vendor showed an investor that the chatbot they were integrating into their business was intended to provide a useful dialogue between a customer and a retail company, regarding its products. However, when asked about how the chatbot would learn based on data collected and improve its conclusions, the vendor suggested that the system was based entirely on rules, which were regularly updated manually. Talking about rule-based ML and self learning capabilities, the former knows what to expect and act in a predetermined manner. Rules are ‘IF-THEN’ decisions based on past data. Whereas AI is about recognising anomalies and learning new steps and actions, based on progressing conversations. It is more about the capability of a machine to process and act in an unforeseen conditions. It is about training computer instructions to behave like neurons. The accuracy of its results and patterns depends on data, so the more examples are fed, the more useful it becomes. Some of the real applications of AI are when companies like DeepMind create AI that beats the best players at Go or at chess. Currently, most significant results in actual AI have been witnessed from large and established companies like Google and Facebook, as they have the infrastructure to run intensive research, and the money to hire best researchers. Most of the startups usually doesn’t have these advantages, making it challenging for them to be a true AI company. How Can ‘AI Washing’ Be Avoided? The answers to these questions can only define if a company is actually an AI company. AI systems cannot be static and need to continually learn on its own. From Jan 2016, when AI was not even in the top 100 search terms on Gartner.com to the present day, where every company wants to be called AI company, the technology has come a long way. Such is the spike in the popularity that vendors claiming to have AI in their products are confusing people as to what is genuine. In a nutshell it can be concluded that implementing AI cannot be as easy as just integrating a chatbot or installing a software. It requires expertise, vision and information that isn’t easily accessible. Though there are very few Indian AI startups that have made a mark in a big way, consumers need to be wary of the companies that claim to be “AI company”, and check thoroughly for any proof-of-concept.